There is something about the digestion of fats and eating foods containing fat that we just cannot resist. Why? Simply put, fat tastes nice. Fats contain substances that add texture, flavor and smell to foods to make them very palatable. Now you know why you find them irresistible! Fat is always associated with some very common health problems, especially when we eat too much of it. High consumption of fat, without appropriate levels of exercise to burn it off, will almost certainly lead to weight gain. If weight gain become excessive then this in turn can lead to high blood pressure. Other conditions associated with excessive weight gain are high cholesterol and diabetes. However, fat is not all bad. To understand the digestion of fats and the impact fat has on our body, it is important to classify fats into their relevant groups. You have heard of saturated fats, unsaturated fats, polyunsaturated fats, eat all you like fats, err, maybe not those ones. But you get the point. It is easy to get confused. Do We Really Need Fat? We all think of the word fat as a bad word and foods that contain fat are foods that we should avoid. This is not the case because our bodies actually need fat therefore the digestion of fats can be important. It is the type of fat that we need to be aware of and the pros and cons of different fats entering our body. The list above says that fat provides us with a huge amount of energy, but it must be noted that our body uses the energy from carbohydrate and alcohol as immediate energy. This explains why we tend to store fat so easily. We divide our good fats into monounsaturated and polyunsaturated fats. These are the ones we talk about when people ask what are good fats and what can they do for my body? Monounsaturated fats are not required in our diets as our body can make its own, but never the less they are present and have to be counted. They are found mostly in olive oil, rapeseed oil, avocados and nuts. Polyunsaturated fats and the important ones when it comes to the digestion of fats, which is why they are called Essential Fatty Acids, or EFAs for short, and cannot be made by our bodies. We have to get them from our diets as they are essential for many of our functions, hence the name! Digestion of Fats: How Essential is Essential? 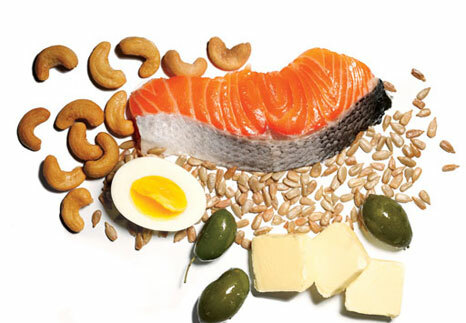 Polyunsaturated EFAs are split into two groups: Omega 6 and Omega 3. 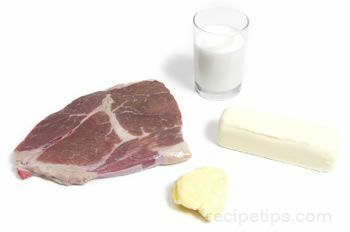 We do not really need saturated fats in our diets as our bodies convert carbohydrates in to saturated fats when needed. These fats can be converted to provide energy, but if there is more fat available than is needed for energy production, then the excess is stored under the skin or in the abdomen. Saturated fat molecules tend to stick together and can be deposited in cells, organs and within our arteries and arterioles. The result: increased risks of heart disease, high blood pressure, stroke and many other health complications. Trans fats sink the digestion of fats to an all time low level of ugliness. In fact it is fair to say they take the good and turn them bad, quiet literally. 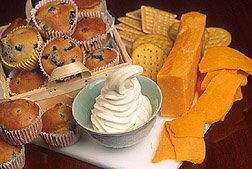 Trans fats are polyunsaturated (good) fats that have been through a process of and are the end result of a chemical alteration known as hydrogenation (hence the name). They are of no use to our body and actually make it more difficult for us to make use of the essential fats in the way our body needs to. Should you avoid these types of fat? Yes, yes and yes again!